If you are under the impression that website design and search engine optimization (SEO) are two independent activities, then it is not correct. As a business owner, you must understand that both are related and any failure in recognizing the fact could adversely affect your business. Aesthetics should be considered when designing your website, but it important to keep in mind the fact that website design encompasses much more than that. It has the potential to impact everything from SEO and number of visitors to conversion rates and branding. The result of a study to determine whether the content factors and different design elements had an influence on the trust of visitors coming to the websites showed that website design is more important than content. 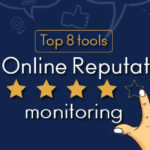 When the people who participated in the survey were asked as to why they mistrusted websites, the comments of 94 percent of the participants towards the website design elements. Only 6 percent of them made any reference to specific content. Website design might be very important, but content relevance and quality continue to be vital. 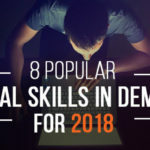 When the participants of the abovementioned survey were asked as to why they trusted a particular website, the answers given by 83 percent of them revealed that content did have a key role to play. People like websites that are informative, relevant, clear, unbiased, and fresh. Further, they like websites much better when age-specific information is given and answers to questions that come up often are provided. Fonts and other typographic elements are also important, but the focus should be on delivering more accurate messages to your audience. Anyway, overdoing these elements may not do any kind of additional good to your website. Too much content can mess up your web pages and affect the conversion rates. Both website design and content are important and they go hand-in-hand. However, it is the quality of design that attracts visitors to your website and makes them spend time and read the content you have provides. According to website design and internet marketing experts, it is important to design your website, keeping the needs of your entire business in view. Or else, you will find it difficult to compete in the market. 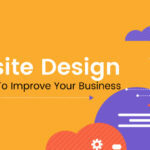 Therefore, when you design your site to make it attractive to the visitors, it should also be kept in mind that it has the potential impact the other areas of your business. When creating your website, keeping SEO in mind, it is important that you think long term. Design trends keep changing, but the presence of your brand has to last for a much longer time. Therefore, it is not wise to focus too much on the trends. It can cause problems for you. However, you should not completely neglect the prevailing styles. To give you an example, a trending design style may be very attractive. Users may like the design because of the convenience the style provides. As a website owner, you may like to use the style because it keeps the users engaged. However, what is more important is to determine whether the search engines like the trending style or not. 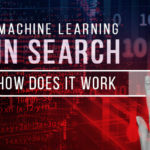 As you remove the website structure that the search engines are traditionally used to crawling, you might be inviting problems for yourself. On the other hand, you may really want to embrace the trending responsive designs for websites. This is because, in the near future, Internet searches are likely to be done more on smartphones rather than desktops and laptops. 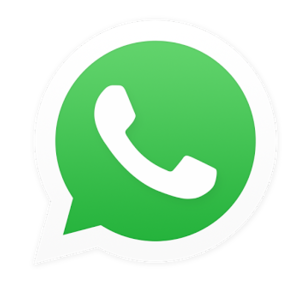 There is a tremendous increase in the number of smartphone users around the world. Further, the search engines have started rewarding websites that invest in creating responsive web pages. In addition to eliminating the need to run two separate websites and the risk of paying penalties for providing duplicate content, it helps you to greatly bring down the bounce rates. 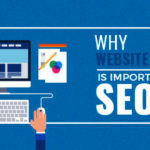 The examples given above give you a fair idea as to why it is important to connect website design and SEO. 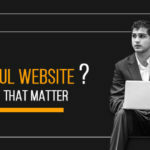 However, there are a few other factors that need to be kept in mind when designing your website. You need to make a distinction between website design and branding. The design of your website cannot be considered as your brand at all. Of course, it is a brand element that can help you to build trust among your target audience. Branding is actually an investment. It grows over time and makes people say that they have trust in your products and services. Brands are perceptions and the elements of branding such as logos, trademarks, names, taglines, and packaging, are the shortcuts to reach those perceptions. Typically, consumers tend to lean towards trusted brands. They will buy products and services when they are able to correlate with a strong brand. As such, from the website design perspective, it is very clear that the elements of design you choose will have a direct impact on your overall branding strategy as well as market position. It is very easy to understand as to how accessibility and navigation are related to the conversion rates. If your web site’s design is such that it presents challenges to the visitors, then they are likely to lose interest quickly. On the other hand, an intuitive website structure will encourage users to remain on your site and continue browsing. Navigation assumes a lot of importance when there are several pages on your website. Therefore, you need to include a menu that clearly shows the list of web pages or a well-labelled navigation bar. A well-developed navigation plan enables users to not only explore but also understand your website much better. You are not required to use state-of-the-art typefaces at all. A simple and intuitive navigation arrangement makes visitors come back to your website again and again. According to experts, the words that you use in your calls-to-action statements have the potential to directly impact the conversion rates. For example, incorporating the word ‘Free’ when requesting visitors to either download something or sign up on your site often tends to increase conversions by about 4.2 perc3ent. Colours do have a role to play in improving conversions. Research studies show that big, bold red colour is best suited for headlines. Navy blue colour helps to improve the feeling of trustworthiness when you use it in your call-to-action buttons. In conclusion, it is important that you have a clear understanding of the impact of your website’s design on SEO. It is just not a simple matter of preference or making a minor choice. Your website’s design has the potential to make or break your online business. It has to actually make a difference as to how your target audience perceives your business or brand and the visitors to your website need to be converted into your customers. All said and done, using a design that provides an impressive and easy to navigate user interface will go a long way in enhancing your conversion rates, contributing to improving the bottom line of your business. In today’s digital world, more and more businesses have started developing responsive websites to stay ahead of their competitors. So, the earlier you act the better for you.